Subject to repeated exposure to the antibiotic ampicillin, populations of Escherichia coli quickly evolve tolerance for the drug, springing back to life once antibiotic treatment has stopped, according to a new study. A new, worrying report has emerged in relation to the battle against antibiotic resistance. Researchers repeatedly exposed cultures of E. coli to high concentrations of ampicillin. Within as few as 10 cycles, the team found that some bacteria had survived the antibiotic treatments by lengthening the period of time they stay dormant. Ampicillin is an oral antibiotic useful for the treatment of a number of bacterial infections. It is effective for ear infections and respiratory infections. It is also sometimes used for the treatment of urinary tract infections, meningitis, and salmonella infections. Scientists have noted over the past few years that resistance to ampicillin is increasingly common among the bacteria responsible for such infections. Now E. coli can be added to the list. 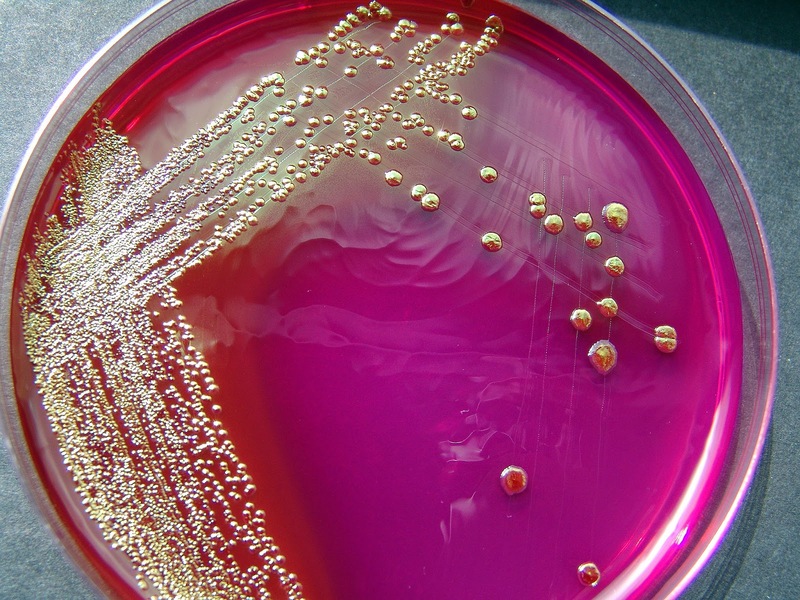 Traditionally, E. coli has been resistant to ampicillin. Or, rather, in this case, "antibiotic tolerance." The study highlights the importance of antibiotic tolerance, which allows bacteria to survive even high levels of antibiotics by remaining dormant. As to the reason for this, by exploring the genetic basis of this adaptation, the researchers identified three genes that seemed to play a functional role in antibiotic tolerance. Escherichia coli is a Gram-negative, rod-shaped bacterium that normally inhabits the intestines of humans and animals. Not all strains of E. coli are pathogenic, but ones that are contribute to one of the leading causes of foodborne illnesses. The study was conducted at The Hebrew University of Jerusalem in Israel, and the findings have been published in the journal Nature. The paper is titled "Optimization of lag time underlies antibiotic tolerance in evolved bacterial populations."